I am always impressed by those adventuresome souls who are able to kick over their traces and start a new path in life. Famous among these is Grandma Moses, who took to painting in her seventies when she wanted to make something for her postman’s Christmas gift, and Colonel Harland Sanders, who began the Kentucky Fried Chicken franchise after a new expressway bypassed his restaurant and put him out of business when he was in his sixties. Both of these were individualists whose "get up and go" hadn't got up and went when they were ready for Social Security. And, even more important, they were people with a vision. 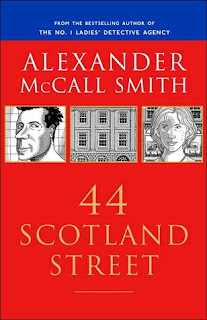 Another of these trailblazers is Alexander McCall Smith. 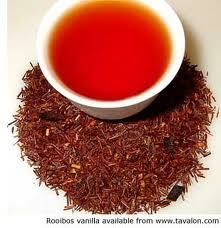 Smith was born and grew up in Rhodesia (present-day Zimbabwe), then went off to Scotland to study law. At close to 50 years of age, he was teaching in Belfast, Ireland where he entered a literary competition and won in the children’s category. He returned to Southern Africa in 1981 to help co-found and teach law at the University of Botswana. 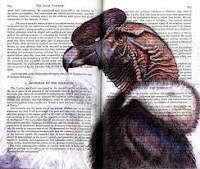 The rest is history, since McCall Smith came out with his book The No. 1 Ladies' Detective Agency. It was in an airport bookstore that I picked up this first mystery and I was instantly charmed. Mma Precious Ramotswe has had some reversals in her life, with the death of her father and the breakdown of a marriage that brought her more sorrow than joy. She has become a follower of the teachings of Clovis Anderson, author of a text on the principles of detection. 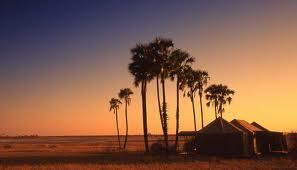 She set up as a private detective on a main street in Gaborone, Botswana. Her main strengths are intelligence, courage and a basic understanding of human nature. Somewhat of a Miss Marple, except that this is a career for her. The first thing she does is hire a secretary, Grace Makutsi, who is intensely proud of her graduation at the head of her class at the local secretarial college with an astounding grade of 97%. 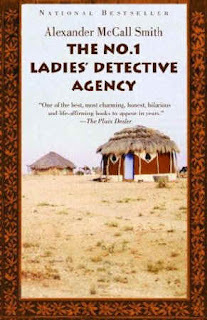 All of the characters are beautifully drawn, and the reader begins to appreciate the life and culture of Botswana even to the point of ordering Mma Ramotswe's favorite tipple, bush tea, from online sources. 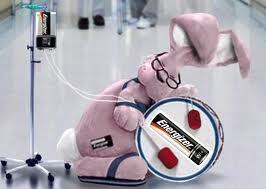 It can even be found in local grocery stores these days. The stories are usually simple, but it would be a mistake to consider the characters simple-minded. 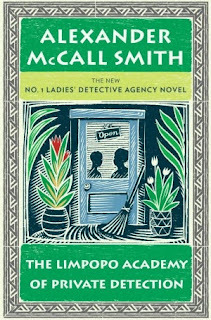 In The Limpopo Academy of Private Detection, several of Mma Ramotswe's friends seem to be walking unwarily into different traps that had me calling out to them to watch their steps, but I underestimated their insight. One of the milestones of McCall Smith's life was when he became a respected expert in medical law and bioethics. 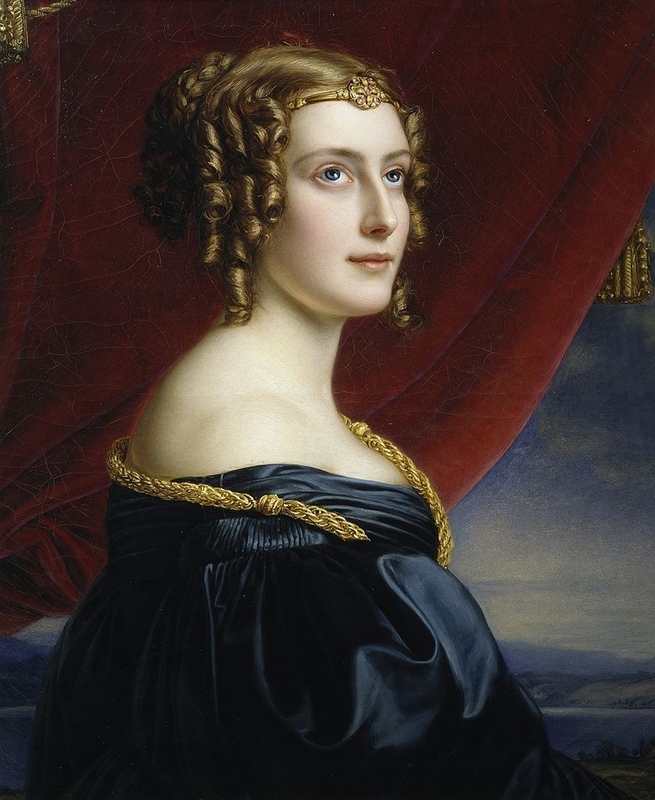 He used this background as a pathway into his next series, featuring Isabel Dalhousie, who is a moral philosopher by training and inclination. She is the editor of a periodical titled the Review of Applied Ethics. Isabel is a woman of independent means, with a fulltime housekeeper, but she keeps quite busy. People are always coming to Isabel, asking her to solve their problems, and she has become an occasional detective. Her friends and family frequently admonish her about getting involved in problems that are, quite frankly, none of her business. Actually, what she does best is to personalize the Socratic idea that an unexamined life is not worth living. There are handfuls of mysteries in Isobel's daily life as she ponders the ethics of everyday situations. 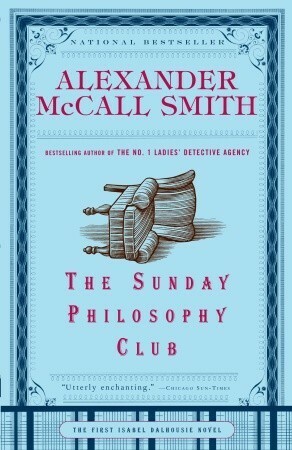 In The Sunday Philosophy Club, Isabel unfortunately witnesses a man's fall from a balcony in a concert hall. She believes she has a moral obligation to find out what she can about the man, because she thought she exchanged glances with him as he fell. "That was part of the burden of being a philosopher: one knew what one had to do, but it was so often the opposite of what one really wanted to do." The location of the stories is in Edinburgh, an eminently respectable town where the citizens believe there couldn't be any murderers here. 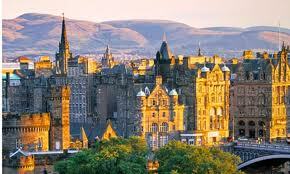 But Isabel knows that Edinburgh is a place like anywhere else, and has the same range of people as any place else did: the good, the bad and the morally indifferent. But they had their quirks of course, but even their quirks were charming––as we find in The Charming Quirks of Others. McCall Smith is also the former chairman of the British Medical Journal ethics committee and was a member of many other boards and commissions, all of which he gave up when he achieved success as a writer. Still with some time on his hands, McCall Smith decided on a new venture, taking a leaf out of the pages of Dickens and the San Francisco novelist Armistead Maupin, both of whom wrote serialized novels. 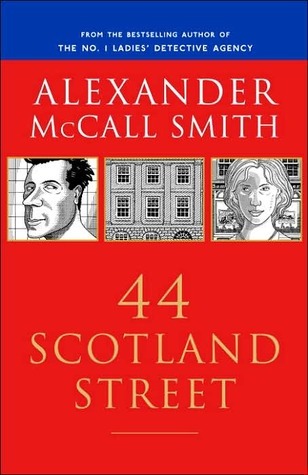 Thus 44 Scotland Street was released in installments every weekday in The Scotsman newspaper and was also later delivered on the BBC radio as 15-minute dramas. The stories surround the characters living in a particular Edinburgh apartment building. Right away, the reader is caught up in the lives of Pat MacGregor, a 20-something who is on her second gap year, since the first didn’t work out; Bruce Anderson, her narcissistic flatmate; Matthew Duncan, the owner of an art gallery; Angus Lordie and his dog Cyril; and my personal favorite, little Bertie Pollock. Bertie is somewhat of a genius, but his life is constantly made miserable by his overbearing mother, who insists he play the saxophone, speak Italian and visit a psychiatrist regularly. I get every book right off the presses so I can see how Bertie is faring, as he tries to live a normal life and hold his head up in all the difficult and humorous situations he finds himself. These stories have grown into eight volumes so far; the most recent, Sunshine on Scotland Street, is very hard to get hold of. 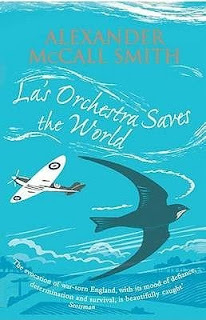 Much to the dismay of his publishers, McCall Smith's next literary experiment was an on-line novel. This was a serialized story published on the Internet exclusive to Telegraph.co.uk. and available to the readers at no cost. 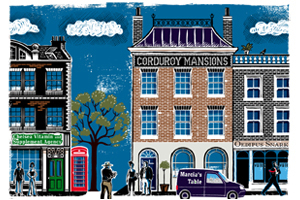 These stories tell the stories of the inhabitants of a large housing unit named Corduroy Mansions, in London, England. Here, also, there is a large cast of characters, one of the most interesting of whom is a dog, Freddie de la Hay. As Corduroy Mansions was released online, readers could interact via online discussion boards with each other and the author himself. 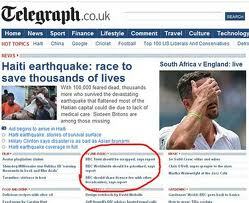 The Daily Telegraph staff edited this. The author wrote a chapter a day, starting on 15 Sep 2008. The first series ran for 20 weeks. These daily chapters were also available as an audio download. Fortunately, there are hard copies for all those who prefer reading a book. Sandwiched into these series are wonderful children's stories; several nonfiction books, such as The Forensic Aspects of Sleep; and a fifth series, about a Professor Dr. Moritz-Maria von Igelfeld, who finds himself in one humiliating situation after another. 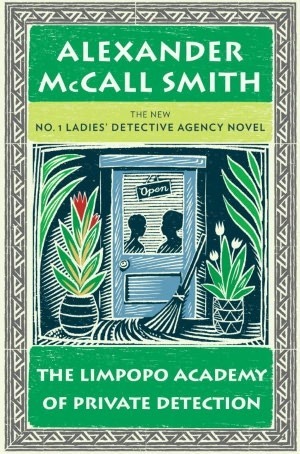 Finally, McCall Smith has a few nonseries books of fiction. La's Orchestra Saves the World is set in England at the beginning of World War II. Lavender––La for short––goes to live in a country cottage. Music is her refuge, and she helps bring together all the local musicians who played music, and it was an antidote to the horrors of war. In this venture, Smith calls on his own musical background. Aside from his other talents, Smith is also a bassoonist and he co-founded a group, The Really Terrible Orchestra, whose mission it is "to encourage those who have been prevented from playing music, either through lack of talent or some other factor, to play music in the company of similarly afflicted players." Critics of their performances seem to agree that lousy is the best they can ever be. Well, you can’t be good at everything. 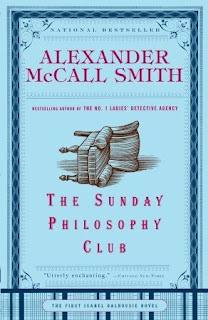 Whatever plans Alexander McCall Smith has for his next venture, either book or series, I look forward to it. I would love to know how he manages his time.